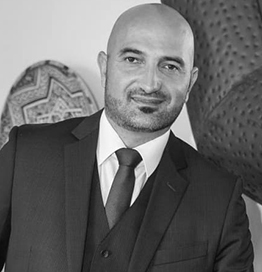 Robert Hatefi is the founder and director of DBI innovations UK Ltd operating since 2008. He is the inventor of the “Technoluxury ” concept associating Luxury brands to disruptive, and highest Technology. Robert is also the Owner of the UK registered trademark 88 Tauri; and creative director, head of production and design of the 88 Tauri mobile phone, a unique design and technology concept developed for Lamborghini mobile phones. As managing director of PFP Enterprise, he was contracted as consultant by Tonino Lamborghini company, for the development and distribution worldwide in “officina gastronomica” division. He started as UK sales manager at Cooler Master UK ltd increasing Turnover from 80k USD to 9 million USD by opening French operations office. Robert graduated from Royal Holloway university of London with a Bachelor’s Degree in Media, and studied economics as French Baccalaureate.